Investors looking to diversify beyond traditional asset classes amid low interest rates have boosted annual annuity growth. Challenger’s financial year results reveal annuities were a key driver of growth for the company, with the asset class increasing in popularity among retirees. “The bottom line is that more retirees are buying annuities because they better understand retirement risk and seek guidance from advisers,” Challenger chief executive Brian Benari said. He said in the second half of 2016, 40 per cent of the sales from platforms were lifetime annuities. Mr Benari credited increased distribution and platform integration with the 22 per cent rise in annuity sales. “A key feature of these results has been sales achieved through our expanded distribution capability,” he said. 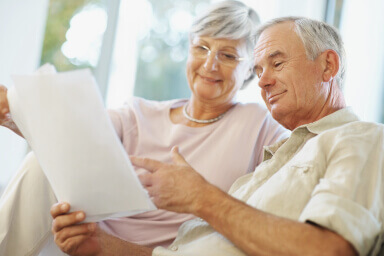 It comes as retirees enjoy the fruits of an expanding range of superannuation products. “The government has recognised the importance of annuities in helping senior Australians meet the financial challenges of retirement,” Mr Benari said. Mr Benari said reduced restrictions will help Australians better meet their retirement needs as their options develop. What do I need to know about IPOs? Is the Sydney property market still a good investment?